Over the last couple of months, we have been receiving phone calls and emails regarding new ATO laws/rules that has come into the affect on the 1st November,2018 . This is in regards to schools not been able to buy off people who run their organisation under a ‘Trading Name’. If a creditor has not met the set criteria set out by the ATO, them schools will not be able to claim the GST and schools may potentially have to withhold 47% of the total invoice amount from the creditor. Without a doubt, the new ATO laws/rules DON’T IMPACT any school, within Australia, buying off our organization. 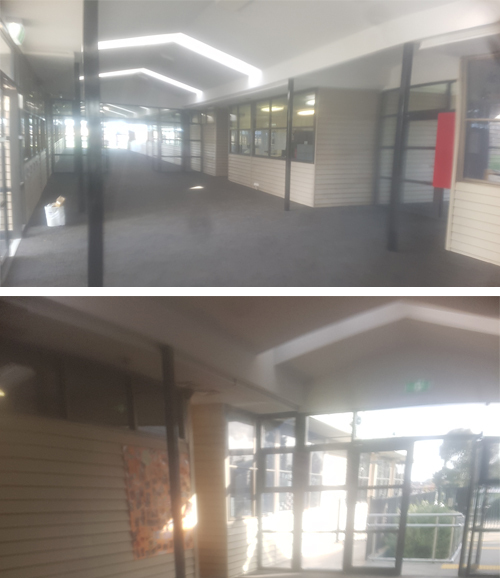 Importantly, Schoolfurn has a registered business name with the ATO, but is run as a division of ‘Office Furniture Group Pty Ltd’, with ABN ’57 057 472 330’. We’re excited to be working collaboratively with Australian Schools to provide new and innovative design solutions. With our design services, creating your perfect interior is made easy! By providing dimensioned floorplans our team can co-ordinate fit-outs specific to your requirements. Need something a little different? Schoolfurn offers custom options on many of our products, simply contact our sales team for more information. Depending on your project; 3D renderings, floor plans or technical drawings can be provided. 3D renders are a great way to visualize your ideas and can be produced upon request. Whether you’re refurbishing a single classroom or an entire school; Schoolfurn can help bring your ideas to life. Contact our sales team to learn more about our design services. A Mission Statment is a short and direct statement of any organization or companies purpose, This identifies there goals and values to ensure a clear understating between company and customer. The following is schoolfurns values, aim, mission and vision. We have four value key points flexibility, affordability, furnishing the future, and customer service. To provide high quality, flexible furniture for schools and office environments at affordable prices. Schoolfurn is an Australian furniture supply company. With a strong focus on School, business and domestic fit outs, we pride ourselves on our excellent customer service and diverse product range. 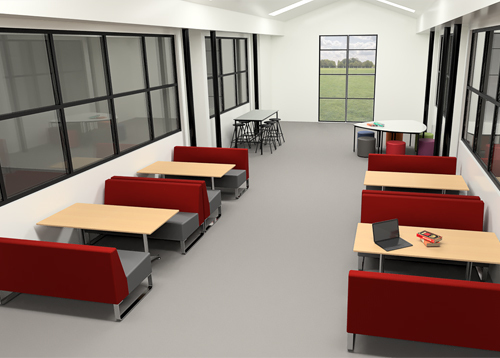 Understanding the dynamic needs of Australian Schools and businesses, we believe furniture should be flexible as well as engaging. By offering design services such as 3D renders and custom floor plans, we encourage clients to create not just purpose-driven interiors but inspiring spaces. We value the time, skills and expert opinions of our staff. We’re committed to providing a supportive, friendly team environment that encourages creativity and the sharing of new ideas. Excellent custom service is a by-product of a positive work culture. As such we maintain a fair, welcoming environment that respects diversity and hard work. Custom Design Fit Out With multiple entrances, doorways and large windows, thoroughfares are often difficult spaces to furnish. 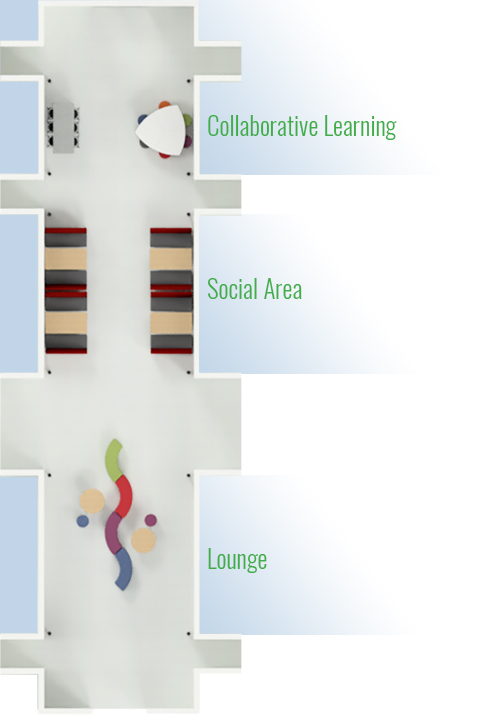 Marnebek School presented an interesting challenge to Schoolfurn this month; transforming their Gallery into a social, learning space for students and teachers. After discussing Marnebek’s needs, we photographed and measured the Gallery. Photos provide important information, particularly if there are any obstructions or access concerns. 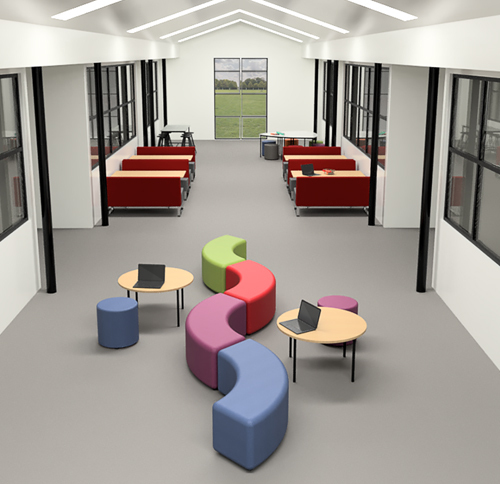 From floor plan to 3D render – it’s all a part of the Schoolfurn Service! Working with others is an important life skill. Using furniture such as the Shield and Science Table, students can feel included while working on projects and group activities. We suggest providing varied seating options. Chairs of differing heights, such as Ottoman Rounds and The Beast Stool, help add interests to an interior by breaking up the environment. Not all learning is done in the classroom, interpersonal skills for example, are developed through experience. By providing social spaces outside of the classroom, students can engage in conversation with peers and teachers in a neutral setting. These spaces are ideal for shy students or those needing one-on-one tutoring. Suited to individuals or small groups, Quad Booths provide comfortable seating while offering relative privacy. Lounge areas offer a space for students to relax, read or pursue private study. 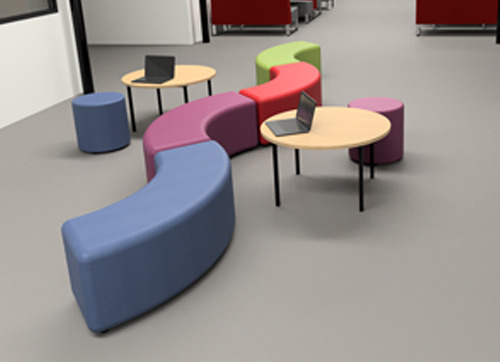 Schoolfurn Ottomans are ideal for such spaces; mobile, lightweight and incredibly comfortable. Students are able to rearrange the seating to best suit their needs. Working from a laptop or tablet is easy with custom coffee tables and Ottoman Round stools. 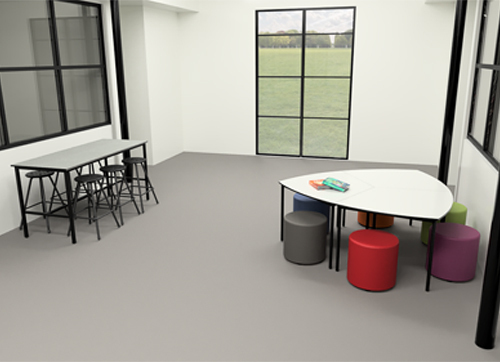 Whether it be a busy classroom, open plan office or gallery space, Schoolfurn can help bring your ideas to life. By offering custom renders and tailored floorplans, our friendly team can help you create not just a space to learn in, but an interior built to inspire! On Monday the 18th of June 2018 The schoolfurn team went to St Jude’s Primary school for the first time to give two special individuals there Unknown heroes reward, Luara Johnson (Teacher) and Karlo Al-Jarah (student). Karlo Al-Jarah received a brand new laptop, and Luara Johnson got a $300 hot Spring Voucher, Karlo said “This is the greatest day in my live, Better then my birthday”, and Luara was very thankful for her gift. Unknown Heroes started as an Idea, To help the community recognize and reward our local heroes. Our vision is to find people, including students, teachers, and administration, that go above and beyond for people in their community, and people that do things out of the goodness of their heart. On that Monday when we the schoolfurn team gave Luara and Karlo there gifts, we had realised that we also were awarded, the gift of giving, to give to the community. So if you know a unknown heroes please go to our unknown heroes link.